SWSC have an additional Club Children’s Officer (CCO) position available, anybody interested in applying for this role please register your interest with our club secretary at HERE before Monday 20th. If anyone has any questions relating to the CCO role, please contact Leonie Galland on 087 6664238. 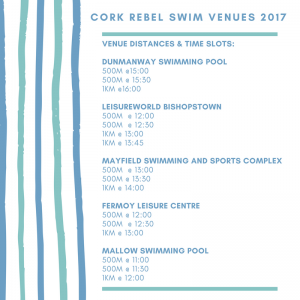 Please see below officials for gala in Waterford this Sunday. Timekeepers morning session: Andrew O’Leary, Alex McKnight, Stacie Blyth. Timekeepers afternoon: Antonia Sech, Sam Coveney, Aidan Figueredo. 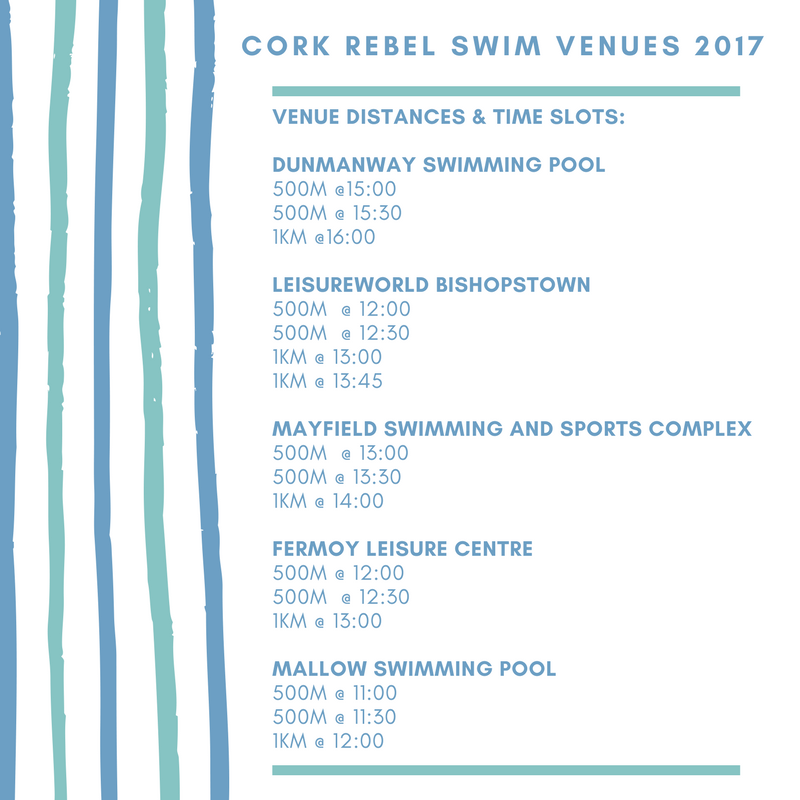 The inaugural Cork Rebel Swim will take place on Sunday 3rd December in a number of Swimming venues throughout Cork. Participants will have the option of choosing from a 500m or 1km timed swim as part of the event. 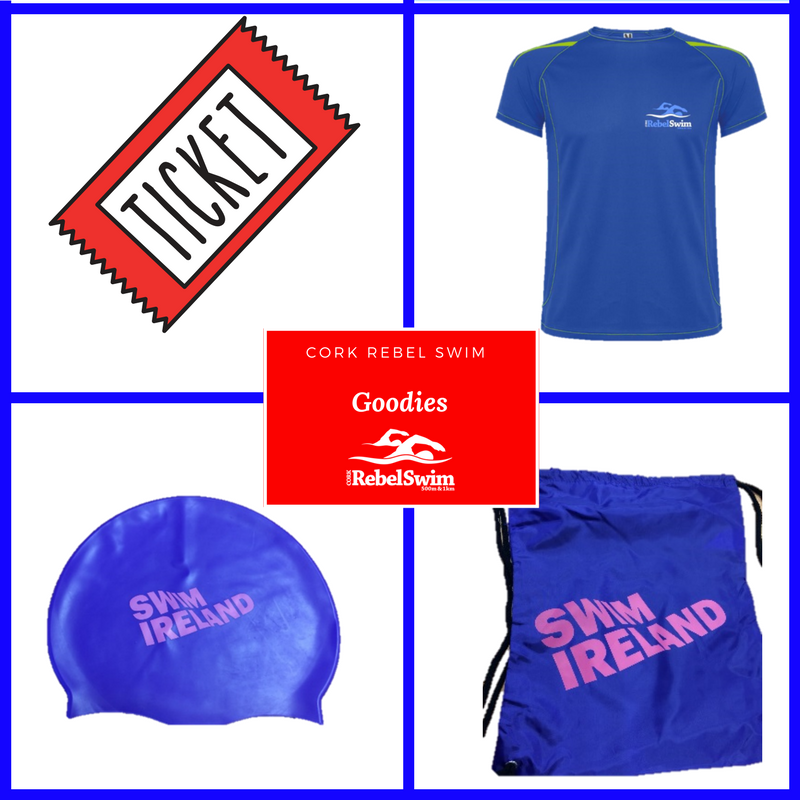 – Entry to a draw for a 3 month membership in LeisureWorld (T’s & C’s Apply). 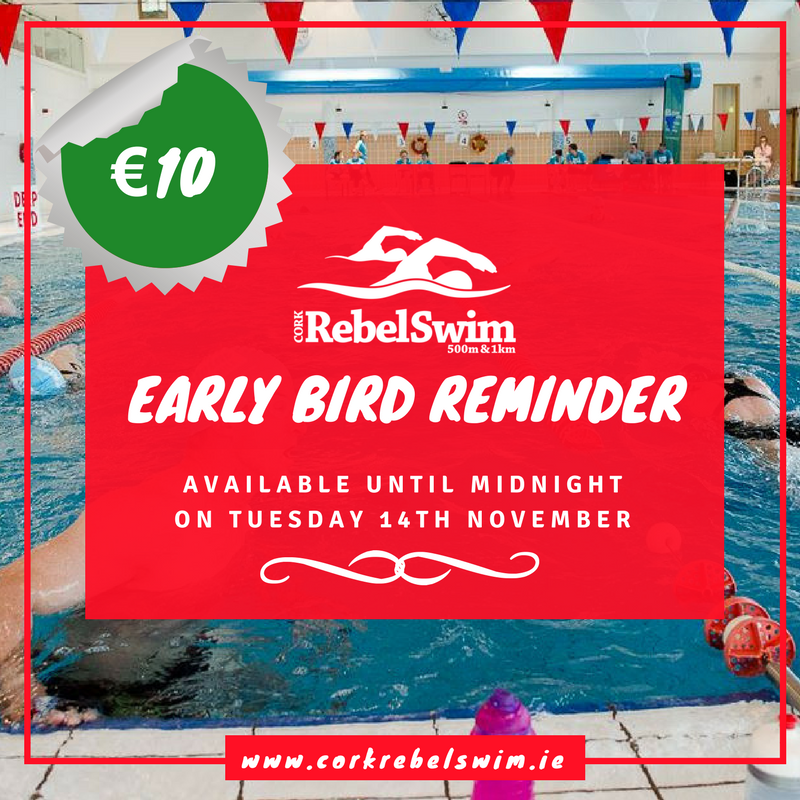 EARLY BIRD OFFER is available until midnight on Tuesday 14th November. Congratulations to Neddie Irwin who broke a 20 year-old 14 & under Munster record for the 1500 free at the 2017 Munster SC Gala this weekend. 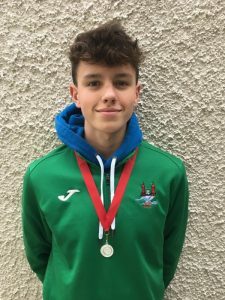 Neddie set the new record in a time of 17:05.15.